Sherlocked! – My thoughts, precisely. I have yet to come across any living soul who’s seen the terribly insufficient two seasons of this Series and not fallen in love with it. From the hot British accents and equally tantalizing actors to the amazing script and suspense, Sherlock is simply fantastic! 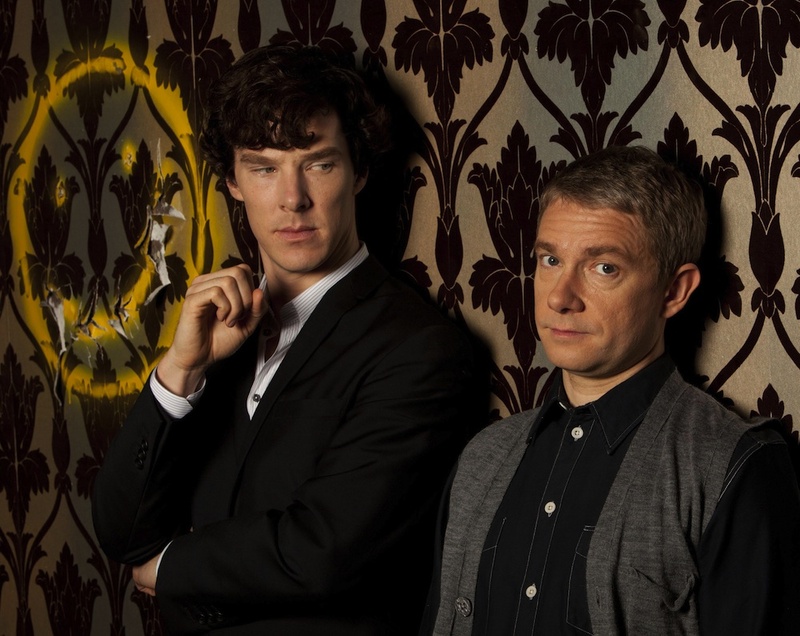 Benedict Cumberbatch and Martin Freeman make an amazing pair; the chemistry between them is adorable at times. Also, Cumberbatch’s amazing performance throughout along with those sharp cheekbones have earned him quite the fan following. Mark Gratiss as the composed and almost regal elder Holmes takes one’s breath away. Gay or not, he’s earned a crazy crusher in me. Andrew Scott has to be that villian you just love to hate. He’s despicable, inhuman, absolutely badass and almost insane. You can’t NOT love him, even if for all the wrong reasons! Lara Pulver as the sensual and uh, dominating, Irene Adler is intense. Episode 1, Season 2, simply blows you away with her dramatic appearance and, regardless of the brief role she plays, she proves to be a very noticeable character in the series, for various uh, reasons. In today’s day and age of slapstick, repetitive humour and excessive crime shows, BBC’s Sherlock is a breath of fresh air and definitely something worth going bonkers about. With two episodes of the third season filmed, it shouldn’t be long before we are treated to more of our favourite mean and detached yet exceedingly attractive, crime-solving Briton. And I sure can’t wait! Tagged arthur conan doyle, BBC, benedict cumberbatch, detectives, irene adler, moriarty, mycroft holmes, sherlock, sherlock holmes, sherlocked, solving crimes, something i love, tv series, tv shows, watsonBookmark the permalink.